Versatile and modern the Eabha shoe is perfect for everyday wear. 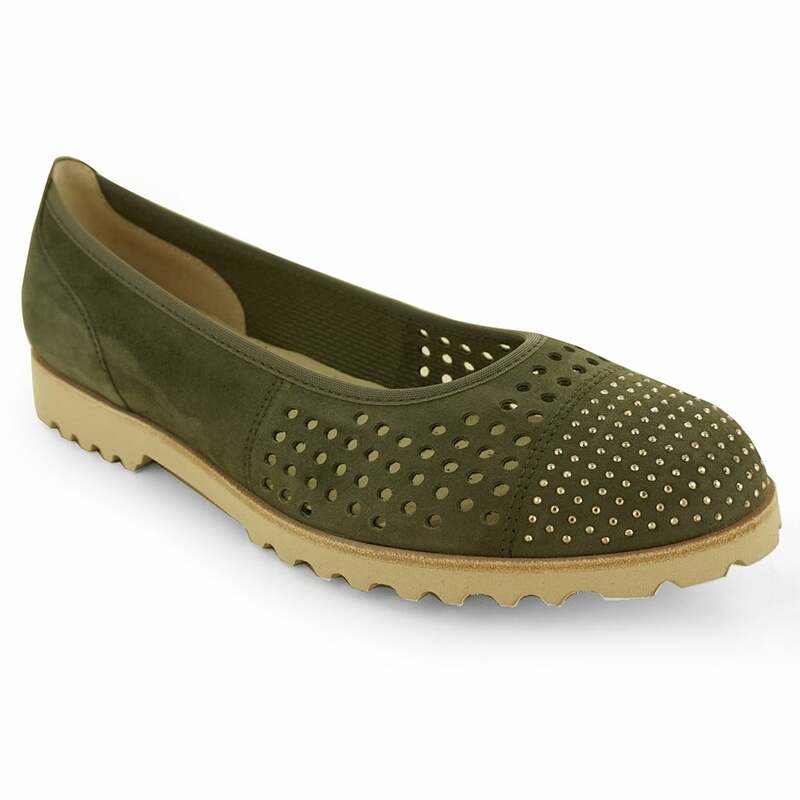 With a soft suede upper if moulds beautifully to the foot, whilst a supportive leather under base gives comfort with every step. With added detail from the punch effect and metallic stud detailing these shoe perfeclty compliment an outfit- whether you choose to wear them with dresses, jeans or shorts this season.